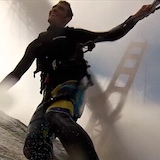 Bay Area Kiteboarding • View topic - New "Push Notification" Feature for Carpools! New "Push Notification" Feature for Carpools! Hey everyone, we're excited to offer a new feature on BAK with email notifications for the "Carpools & Group Sessions" forum. Now when you post or reply, you have the option to notify all members of this group via email in case anyone is interested. Save on gas and bridge tolls to Sherman, or help a carless kiter! To enroll in the group, follow the instructions below. Once you're enrolled, you'll have the option to notify others when you post and receive email notifications from other interested kiters. You even have the option to include an additional message in the email notification, in addition to details of the specific post. Note that you must post in this specific forum to have the notification option, and ensure that your email settings are up to date. Enjoy! Then you can notify others of your post! Re: New "Push Notification" Feature for Carpools!